I know I’m not that well-behaved but I do have a list of wishes. If my wishes come true, I might believe that you probably exist. 1. Taking picture with Nicholas Saputra, chatting, or if possible, befriend with him. If Nicholas Saputra is not available, Johnny Depp or Robert Downey Jr. will do. If both are not present, well.. Jonathan Rhys Meyers then. 3. Teleportation (just like Star Trek), I want to travel across planets and maybe I’ll find a tribe like Navi there. … Be able to fly so I won’t get stuck in traffic jam. 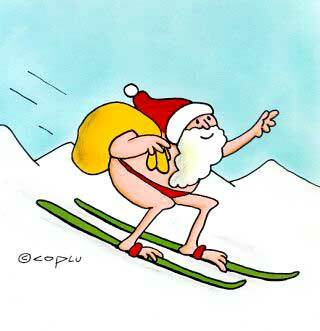 On behalf of Santa (he’s on vacation, apparently), I’d like to say Merry Christmas and Happy Holidays!